Post Valentine’s Depression can arise from unmet expectations, so I recommend being kind to those you love, and to those you don’t--and laughing at someone else’s folly, like mine. If I can have disastrous experiences like this and still find love, anyone can. Not long out of high school, one circle of friends played matchmaker and paired me with a young lady from another circle of friends, so I only knew her tangentially. Let’s call her, say, Suzanne. After all, that’s her name. Real names have not been changed to protect the innocent because she was innocent but needed not protection—except one, which she provided the moment things got dirty, but not the way you might think. Suzanne lived in a neat white house in a good section of town. She dressed well and knew well how to apply makeup and adorn herself with the right touch of jewelry. She had tight blond curls, with frosting. And her father was a Boston cop, if I remember my apprehension correctly (the jokes had preceded the date—"better treat her well, Kevin, or her father will shoot you," etc.). Oh, did I mention I had a car? Well, if I did, I retract that statement, because I did not. In fact, that fact was a logistical barrier to asking her out, something the shy side of me appreciated then. However, our mutual friends soon negotiated that obstacle for the Romeo-and-Juliet they sought to fashion—alas, that joint appellation was not to be. She picked me up that evening with her father’s prized Cadillac Seville, shiny and white. She offered to have me drive. I thought he might get upset, but she insisted that it would be fine. 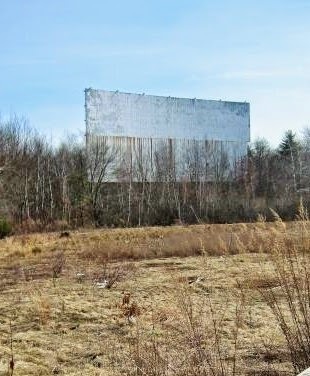 I sat my tush behind the wheel, determined not to speed or crash and risk the wrath of her father, and away we went to the South Shore Plaza Twin Drive-In Movie Theatre in Braintree. I was, however, daring enough to procure a six-pack of Miller beer for us, which was my first mistake. She didn’t drink. Not that she was a goody-two-shoe; her two shoes were quite good, but she could stand on her own two feet and make a conscious choice. I decided not to mention how I’d once hung from the top of that drive-in movie screen (at 14 y.o., skipping school with friends, climbing up the back of the screen with big rocks to toss onto the small frozen pond behind like target practice; I hung over the front edge of the screen on a dare--well, I dared myself, actually). We parked far from the concession stand bathrooms. That was my second mistake. I sipped beer as we sat in the car, immersed in the movie. When I realized that I was opening my fourth bottle, I became self-conscious. I wasn’t just out-pacing her; she’d abstained. Worse, beer goes right through me, and I’d already needed to go to the bathroom when we arrived but hadn’t wanted to risk missing the start of the movie. Now the end of the movie seemed imminent. So I waited. And Waited. And the plot developed, as did the internal pressure. And the movie seemed about to end, until another twist, while I wiggled, and finally I had to excuse myself, my face surely red from embarrassment and holding back the flow. I played it casual, said I’d be right back and would just hop over to the adjacent woods, as if it were a matter of convenience, not desperation. In the semi-darkness, I paused at the ranch-style fence bordering the drive-in theater lot. Although far enough away, I was still within view of the car. Eager to make a better impression, I smoothly hopped over the fence with an eye toward a tree-target further in—but I landed in a swamp. I struggled for balance but my feet slid in the muck, and my body moved away from the bank. I sank up to my waist. The cold was shocking. I gasped and tried to catch my balance, so I wouldn't sink further. Thin branches hanging down snapped in my hands, and promising vines broke their promise. I tried for traction on the uneven bottom without losing my shoes to the muck’s suction. With plodding as careful as walking a tight rope over gators, I managed to step, lean, pull, and pray my way to the slick bank where I clawed my way up. I thought I saw a pollywog leap off my body. What just happened? How? Why? Now what? I stood, shivering, comprehending in stages, dripping water and algae and God knew what from my torso to my toes. I shook and wiped off what I could and then my heart dropped at the thought of the plush velour Cadillac seats. After doing my business, I squared my shoulders, wiped a bit of scum off them, and stepped over the fence. As I made my way, the squish-squish-squish sound of my shoes drew stares from other movie-goers. I reached the passenger side door and opened it. My, was she shocked—good thing we weren't watching Creature From the Black Lagoon, because I think we would have lost her. Yes, I explained. Yes, I wondered what in the world was she wondering. Yes that included, Who is this loser? Why did they fix me up with this guy who drinks yellow beer and now smells like crushed frog? Did this kid just piss his pants and find a swamp to blame it on? I told her I couldn't get in because I’d ruin the seats. I actually volunteered to take off my pants—joking of course; OK, I was only half-joking, because I didn't have a solution for the murky mess that I’d gotten myself into. She took off her white cardigan sweater, spread it on the passenger seat, and kindly insisted that I sit on it. That was not the way I’d envisioned her sweater coming off, I confess, but what could I do? I lowered myself. She drove me home. She kept her window down. If you have someone to love on Valentine’s Day—whether romantically or not, in today’s greeting card-expanded definition— be happy you do; otherwise, get out there and take a chance on love, but keep it clean.